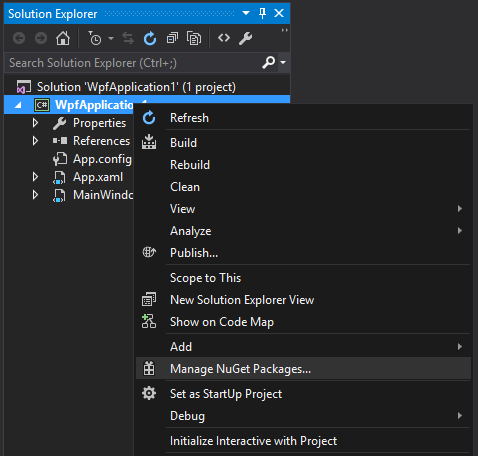 Entity Framework (EF) is an object-relational mapper (ORM) that enables .NET developers to work with relational data using domain-specific objects. It eliminates the need for most of the data-access code that developers usually need to write. 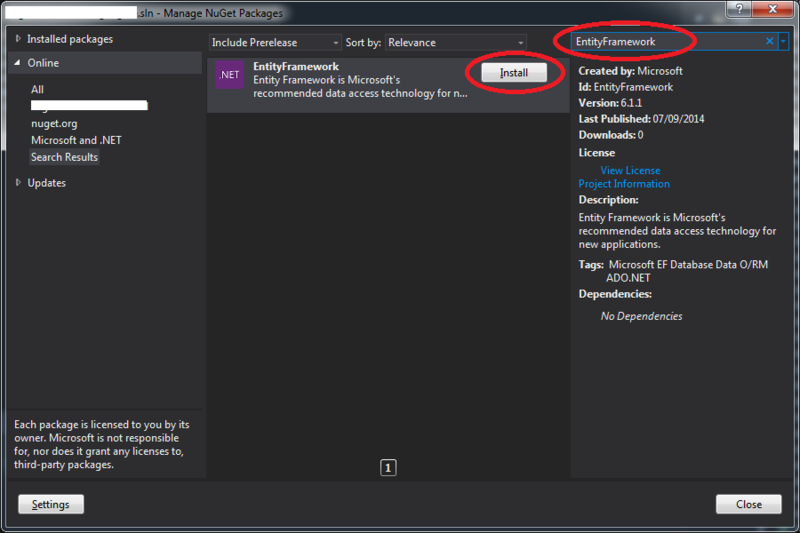 Entity Framework allows you to create a model by writing code or using boxes and lines in the EF Designer. Both of these approaches can be used to target an existing database or create a new database. Entity Framework is the main ORM that Microsoft provides for the .NET Framework and Microsoft’s recommended data access technology. In the window that opens type EntityFramework in the search box in the top right. 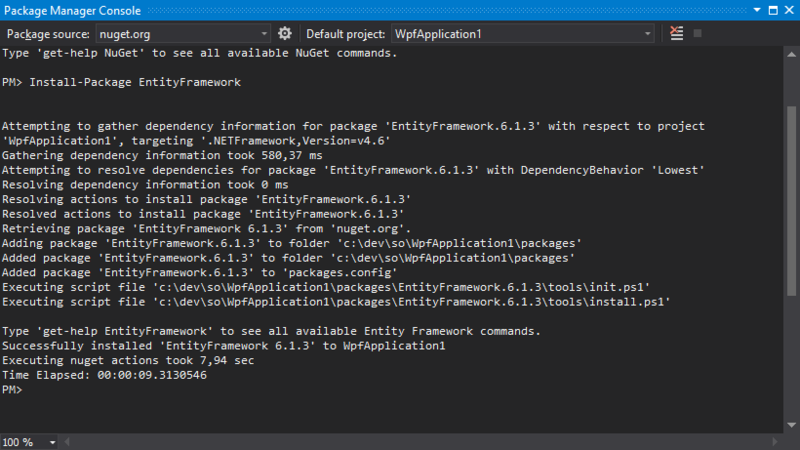 This will install Entity Framework and automatically add a reference to the assembly in your project. We can then add this Planet to the context by using the DbSet 's Add() method and commit our changes to the database by using the SaveChanges() method. Writing and managing ADO.Net code for data access is a tedious and monotonous job. 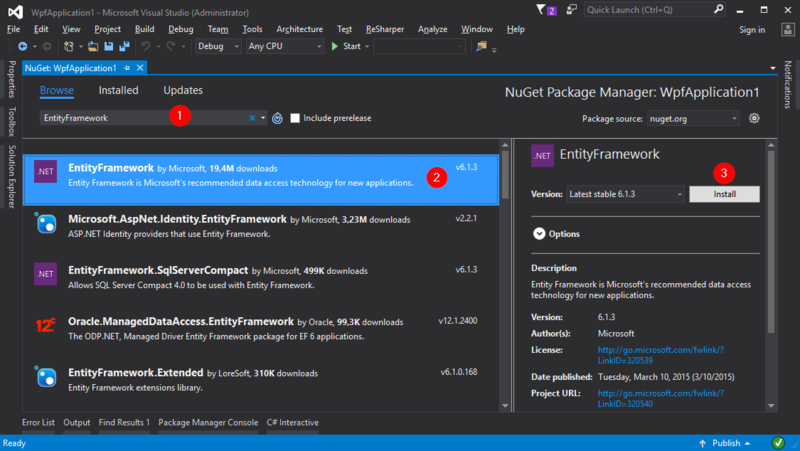 Microsoft has provided an O/RM framework called "Entity Framework" to automate database related activities for your application. ORM allows us to keep our database design separate from our domain class design. This makes the application maintainable and extendable. It also automates standard CRUD operation (Create, Read, Update & Delete) so that the developer doesn't need to write it manually.